Home/Blog/Uncategorized/Gon Bops Welcomes Eliel Lazo to Artist Family! Gon Bops Welcomes Eliel Lazo to Artist Family! 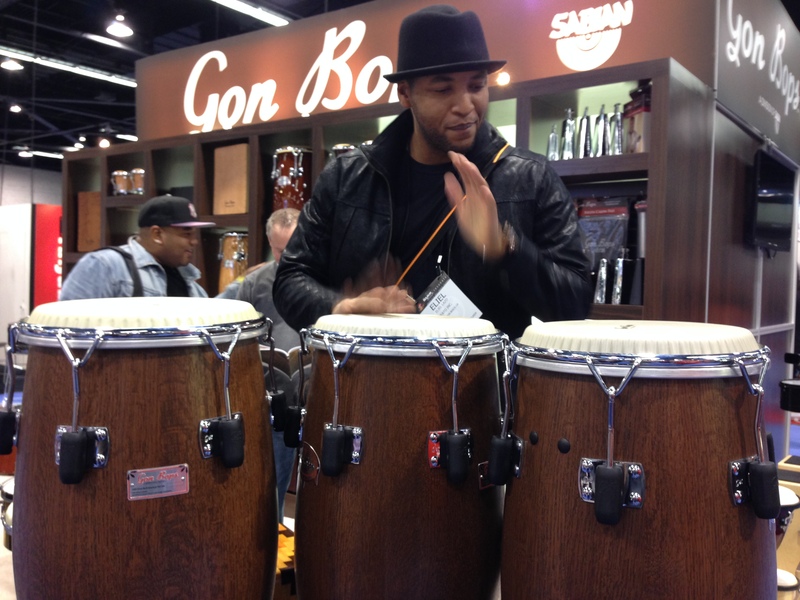 Gon Bops welcomes Percussion Master Eliel Lazo to it’s artist family!! Originally from Havana, Cuba now living in Denmark, Eliel’s mastery of the percussive art form began early at age 19, when he won the prestigious PERCUBA International Percussion Prize. In his career, he’s worked with such legends as Herbie Hancock, Michel Camilo, Chucho Valdes, Wayne Shorter, Dave Holland and many more. Admired for his flawless, fluid technique matched with impeccable musicality and command of Cuban music, Lazo attracts fans everywhere and is considered by many of the world’s best players, to be their favorite Conguero. His current solo release, “Eliel Lazo & The Cuban Funk Machine”, features sax legend Bob Mintzer, along with a host of great players from Cuba, Denmark and Sweden and is dedicated to Cuban percussion master, Jose Luis Quintanta, i.e. “Changuito”. Gon Bops is extremely proud to welcome this amazing artist! !